Has it ever crossed your mind that you would be getting advice on spirituality from the comedy master Jim Carrey? To be hones neither have I, but here we are, craving his next word of wisdom, and don’t get we wrong, the man is speaking some tough truth. 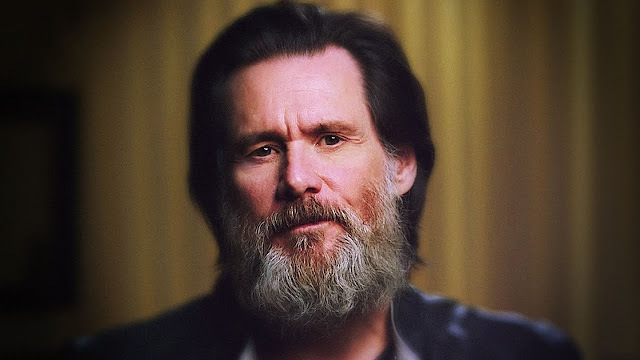 Carrey shares the startling realization he came to after years of fame: it’s totally pointless to spend our whole lives creating and curating some specific identity for ourselves. This is all ego: desiring to be important, to be someone, to matter. In reality, this grasping at a singular identity brings us only pain and suffering, for three main reasons. One, it introduces a separation between us and all other beings that dishonors our inherent, interconnected nature. Two, it deludes us into thinking that things are not supposed to change—that we are not supposed to change. Three, it leads us away from resting in our own basic goodness, as it makes us feel that we aren’t enough just as we are, right now. ‘People talk about depression all the time. The difference between depression and sadness is sadness is just from happenstance—whatever happened or didn’t happen for you, or grief, or whatever it is. Depression is your body saying f*ck you, I don’t want to be this character anymore, I don’t want to hold up this avatar that you’ve created in the world. It’s too much for me. Let’s give ourselves (what is ‘self,’ anyway?) a break and let go of whatever identities we’ve worked so hard to create. Let’s instead live with an open heart and a sense of humor about ourselves and our world—since, in the words of Jim Carrey, none of it matters anyway. And that’s a comforting thought.